Magnificent cliffs and stunning waters have earned the Seychelles a reputation for romance and unparalleled beauty. Every year honeymooners flock to this storybook paradise, which lies more than 1,000 miles from any other land mass between Africa and India. Inhabitants of African, European and Asichanan descent call the remote archipelago home but have only populated the islands for a few hundred years. The first people to make use of the area were pirates who hid from capture in the uncharted waters during the 16th and 17th centuries. Ironically, history has come full circle in the Seychelles where, for over a decade, modern pirates, equipped with global positioning systems and lightweight outboard motors, have increasingly plagued the region. This piracy has its roots in the Seychelles’ distant and unstable neighbor, Somalia. According to the Congressional Research Service, in the 1990s, Somali warlords operating along clan lines began using misleading names to act as “official security” and extract fines from foreign ships. Over the past decade, driving forces such as poverty, environmental adversity, lack of employment and a volatile political situation have all contributed to an increased recruitment of pirates in Somalia. Although pirates drowned by the dozen, financial desperation countered the risk associated with pirating on dangerous open seas in small fishing skiffs. In addition, the pirates benefited from certain conditions including high levels of commercial activity, weak regional cooperation, small national navies, and a large coastal area across which they could operate. The pirates loosely organized into seven to ten “gangs” with different patterns of activity and different abilities. In response to the increased piracy, international vessels intensified patrol in the waters off the Horn of Africa. Unfortunately, this pressure pushed the pirates southeast across vast stretches of ocean to the Seychelles. “Motherships” loaded with fuel and water allowed the pirates to increase their range around the isolated islands where, according to the BBC, more than 200 attacks took place in 2009 alone. Unlike pirate attacks in other regions that aim to seize ships and cargo, these attacks often involve kidnapping and ransom demands for as much as $5 million, possibly because the pirates have access to inland areas of Somalia where they can hold victims for what have become longer and longer periods of time. Insurance companies often settle these types of kidnapping cases hidden from the media. However, in September 2009, when pirates captured British retirees Paul and Rachel Chandler from their yacht less than 60 nautical miles offshore, the terrifying story became public and attracted international attention. As incidents such as this one continue to publicize piracy in the Seychelles, islanders fear that frightening images of AK-47s and rocket grenades will superimpose those of turquoise waters and pink granite in the minds of potential tourists. This fear runs deep because the Seychelles’ tourism industry provides 25.5 percent of its GDP and employs a large portion of the population. In addition to kidnapping for ransom, piracy in the Seychelles has been associated with increased terrorism, trafficking of weapons and narcotics, illegal fishing, illegal dumping, and human smuggling. None of these provide enticing material for brochures, and residents are keenly aware that couples looking for romantic getaways and leisure sailors wanting to experience the stunning natural scenery do not want threats of piracy overshadowing their fantasies. Furthermore, the Seychellois worry that the ransoms paid for hostages will only make piracy look more profitable and increase the number of attacks. However, their biggest nightmare is that the pirates will venture out of the open seas and attack one of the tourist beaches. The people of the Seychelles have good reason to be afraid. The nation’s economy, which had finally begun to rebound from a huge per capita national debt, has begun to see large scale negative effects from piracy. Yacht yards lay empty and hotels have lost $8 million in cancellations. Fewer cruise ships and leisure boats are making stops in the archipelago, and cargo insurance continues to increase as the pirates interrupt international shipping. Most large vessels have begun carrying French marines or Spanish private contractors for defense. According to the African Independent News, these security details have successfully fended off at least ten separate pirate attacks, but this protection drains monetary resources, both public and private. Piracy has hit the fishing industry in the Seychelles even harder than tourism and shipping. The backbone of the islands’ economy rests on skipjack and yellow tuna fin tuna headed for the European market. One tuna factory alone employs 3,000 people in a nation of only 85,000. In September 2009, the same month the Chandlers were kidnapped, the factory’s entire tuna fleet had to come into port because the danger of pirate interception was so high. Crews continue to fear both the pirates themselves and the economic dangers they bring. The threats and fleet dockings have significantly impacted tuna production which is down thirty percent, according to Joel Morgan, Minister of Environment, Natural Resources, Transport, and Prisons. The factories, in turn, have had to let go dock workers and crew members, leaving them without incomes. While the EU, United Arab Emirates, Denmark, Russia, US and Britain have supplied help to the Seychelles in the form of spotter planes, drones, and ships to better prevent pirate interception, it is estimated that naval ships have but a fifteen to thirty minute window in which they can successfully ward off an attack. Further hindering the effort to stamp out piracy in the region is the tricky issue of pirate imprisonment. Astoundingly, until 2010, foreign vessels that captured pirates often took them to Somalia and let them free. 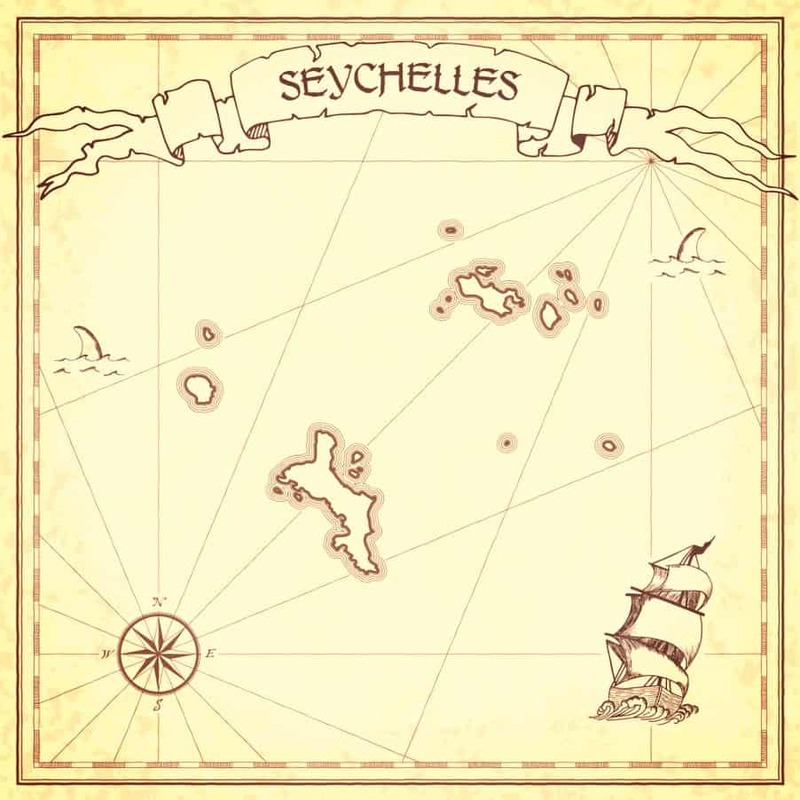 The Seychelles lacked the laws, courts, and prisons for prosecuting the pirates and, although there were a few isolated instances of prosecution in European countries, it was feared that the prisoners could use this as a route to political asylum. A breakthrough was achieved in 2010 when the Seychelles passed tough anti-piracy laws and sentenced eleven pirates to ten years in prison. It became the only other country besides Kenya to sign an agreement with the EU that allowed suspected pirates to be jailed and prosecuted. The tiny nation also built a new wing for captured pirates in its one and only prison. While anti-piracy cooperation in the Seychelles looks promising, the situation remains complex. Some Seychellois claim that the pirates are linked through Somali Islamist groups to Al Queda. Other islanders think that the pirates’ profits ultimately end up in the hands of certain British and American banks. However, the US Congressional Research Service explains the pirates indirectly benefit terrorists but are not directly aligned with them. Furthermore, it debunks the myth that the pirates operate through pre-emptive intelligence on land. As for the key to permanently lifting the dark cloud of piracy from these breathtaking islands, all involved agree that it lies in the hopeful emergence of a stable Somalia.